“A poignant and disturbing novel that explores a fraternal relationship, set in the harsh outback of colonial Australia” – a CUB must-read! Queensland, 1885. One sweltering day in the Australian outback, Tommy McBride and his brother, Billy, return home to discover a devastating tragedy. Distraught and eager for revenge, the young men set out in search for the killers and justice. They are soon forced to turn to their callous neighbour and wealthy landowner, John Sullivan, and the Queensland Native Police, an armed militia famous for hunting down Indigenous Australians. The retribution that follows will leave a lasting scar on the colony and the country it later becomes, and will simultaneously unite the brothers in a fight for survival and tear them apart. The landscape of the Australian outback is described in great detail, with the dry, barren red earth, the sounds of grasshoppers and mosquitoes in the brush, and the wind blowing a sand grains in a sandstorm. I am intensely intrigued by the Australian outback (and Australia in general), and this was a refreshing read as I have not read anything like it before. You can clearly visualise the scrubland, imagine the scorching heat and how good it would feel to have long-awaited raindrops touch your skin. 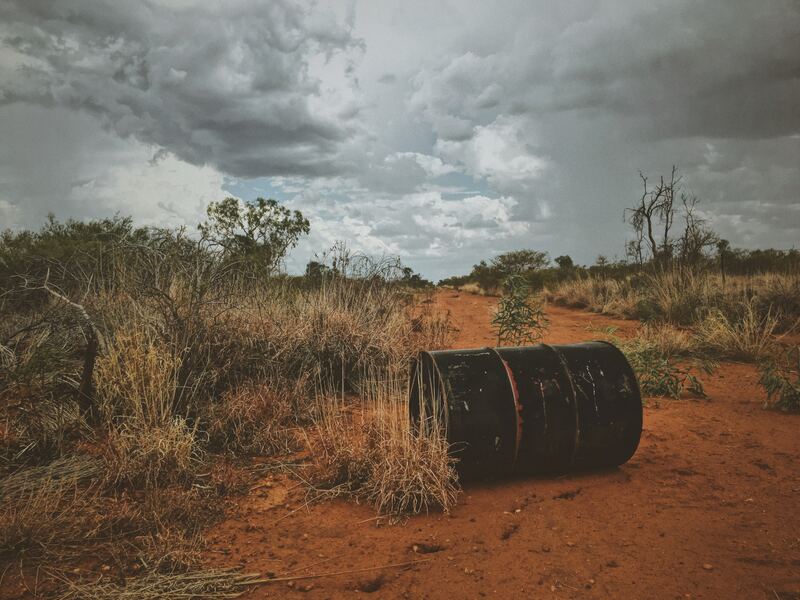 The terrain is crucial in providing an atmospheric background to the action of the novel, especially in very tense moments, when the slightest sound of a dingo in the undergrowth sets both you and the characters on edge. The temporal setting of Only Killers and Thieves is a very interesting one because it traces the history of the nation. Set in the late 19th century, Australia is still a British colony, with Queen Victoria’s rule enforceable by law. However, there is intense racism and violent conflict between white people and Aborigines (Indigenous Australians). The violence that occurs between the two races makes for uncomfortable reading at times, but it is intensely moving; it takes you back to a time when this kind of behaviour, especially the abuse and mistreatment of Aborigines, was considered acceptable and was the norm. Sullivan and his sidekick, Locke, were two characters in particular who completely horrified me with their opinions and conduct towards the Aborigines. As if their actions weren’t terrible enough, what was even worse about them was that they truly believed in what they were doing and that it was the right action to take. Howarth does an excellent job of making his reader respond very passionately towards Sullivan and his behaviour towards the brothers, Tommy and Billy. Whilst he may initially seem very helpful and neighbourly, Sullivan is adept at donning a façade to get what he wants. The relationship between Tommy and Billy was a very touching and emotional one. It is painful to see how it disintegrates and how the desire for justice and revenge, combined with grief, tears them apart. What was perhaps most astonishing was the transformation of the brothers, Billy in particular, in light of tragic events and the following consequences. Whilst I felt sympathy for Billy, I still could not believe how he allowed himself to be influenced by Sullivan and his henchmen, especially the Inspector if the Native Police, Noone. Billy behaves the way he does all so that he could be a “man” in front of these men, and that kind of ideology was sickening but pitying to witness. I felt even more empathy for Tommy because he tries to do the right thing, even going as far as standing up to Sullivan and Noone. The revelations towards the end of the novel are shocking and you will be eager to read on to find out how the book will end. I thought the time jump forward in the concluding chapters was very effective to exhibit how Tommy blossoms and matures. He is a brilliant example of no matter how much time passes or where you go in the world, you can never forget your past and the losses you have experienced. Overall, Only Killers and Thieves is a poignant and disturbing novel that explores a fraternal relationship. Set in the harsh outback of colonial Australia, this is a book that will draw you in from the very beginning, keep you engaged throughout, and leave you reeling from its events.